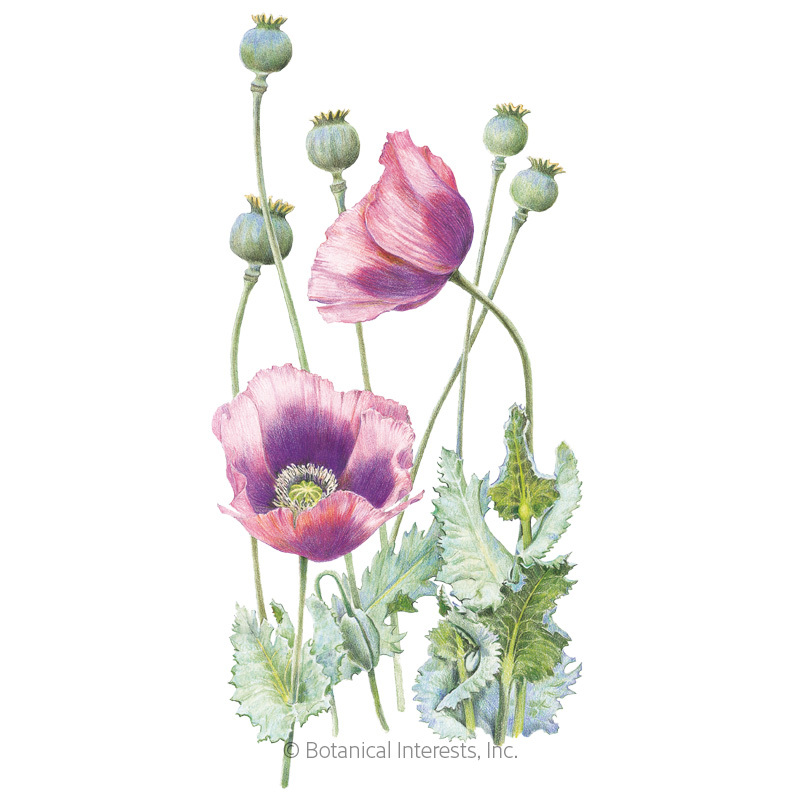 There is a local legend that renowned Colorado garden writer Lauren Springer sowed some poppy seeds from a bagel and discovered this unique variety. 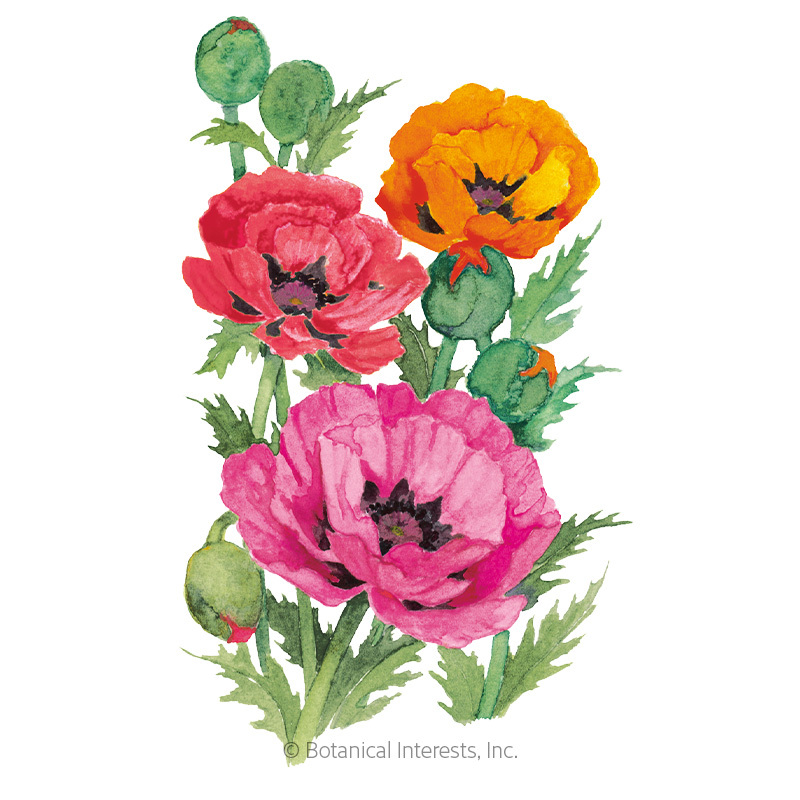 In reality, this experienced horticulturist spent years culling the seeds from the rich purple poppies growing in her garden, knowing gardeners would appreciate the superb beauty of this stunning variety. When to Start Inside: Not recommended. Roots are sensitive to disturbance. 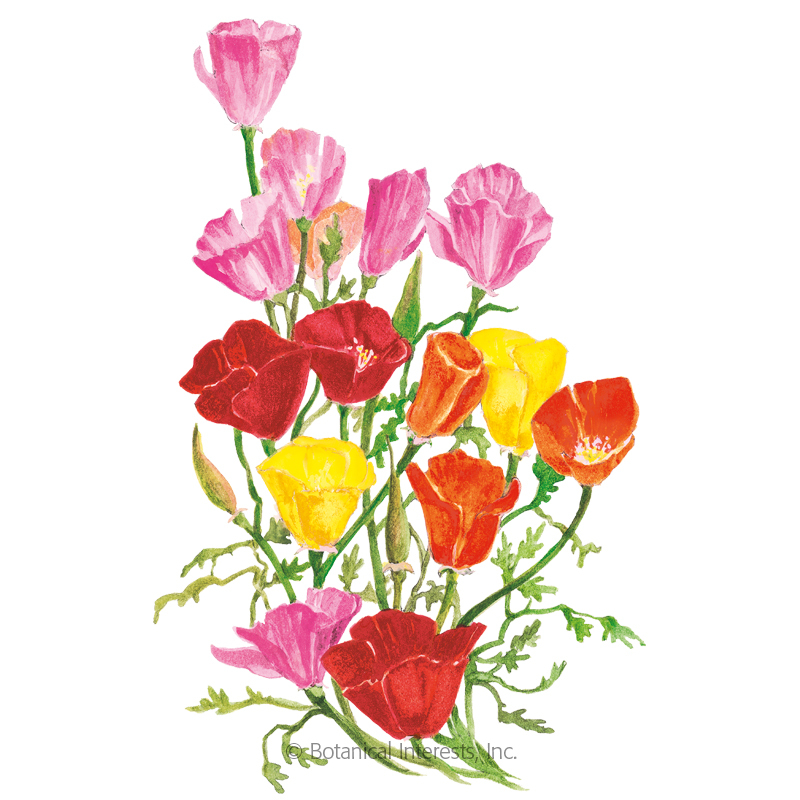 Thinning: When 2" tall, thin to 1 every 8"–10"
These poppies are so easy to grow! 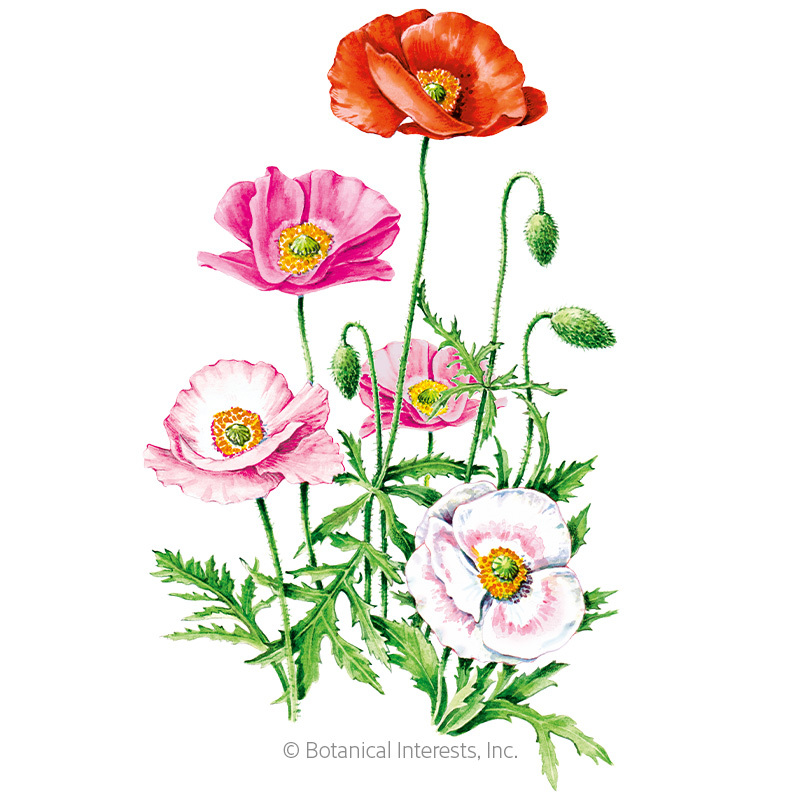 I was dubious, as some poppy seeds are fussy about germinating, but note these! I just raked them into the soil in the fall, and they came up with a vengeance in the spring! Lots os flowers for my honeybees, pretty grey pollen, silky smooth purple blooms. Reseeds easily, to boot!